You’re a qualified professional photographer. What does that mean? Good question. It means that I’ve studied photography and the business of photography at a tertiary level, taken exams and had my work evaluated by industry professionals to ensure it is of a high standard. This translates to mean that I understand the technical aspects of photography and can consistently deliver great results. I’m also a member of an international group of wedding photographers committed to furthering our education and being the best that we can be. What equipment do you use and do you have backups? I’ve used Canon gear for over ten years now and currently have two Canon Professional digital SLR cameras. Matched with several Canon professional ‘L series’ lenses this offers me high quality, reliable gear, with backup options. I also have studio lighting equipment which I take to every wedding, just in case we need to move indoors. In the office I have a high spec computer with plenty of RAID storage, professional monitors which are colour calibrated and offsite backup facilities, just in case. Do you pose photos or are you more photojournalistic? A bit of both really. ‘Photojournalism’ is a term often used by photographers that don’t know how to make people look good, so they just ‘sit back and see what happens’ – that’s a bit lazy really. I prefer to ‘style’ photos a little whilst staying true to who you are, setting up situations and adjusting as necessary to make you look your best and get you some great photos. To me it’s important that the photos are all about you, having fun, smiling, laughing and enjoying your day. They should not feel fake or be about the location we are at. They should be about you and your relationship. On selected packages I have an assistant with me for most of the afternoon that provides second shooter coverage of the ceremony. This is a great way to cover all angles during the ceremony when I’m trying to be ‘covert’. How does the copyright thing work? I only work when I own the copyright to my own work. This allows me to use my work to advertise myself and enter into competitions. I license the images for you to use for whatever personal use you like, as long as you like. My only request is that if the images get published somewhere (magazine/blog) or used for something other than your own personal use (venue/florist/cake maker), I’d like to know about it first. 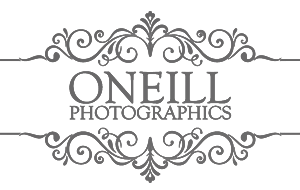 We have strict rules surrounding the use of your wedding photos by other businesses that protect your privacy rights and ensure our quality standards are upheld. How long after my wedding will it take me to get my photos? I aim to have your images and slideshow delivered to you in around four weeks. Albums take 4-6 weeks after we have signed off the electronic design proof. What’s a pre wedding photoshoot? A pre wedding photoshoot is a great chance to see how you behave together in front of a camera. It only takes about 5 minutes but it’s very valuable. We go over how to stand to look your best and I make you get all “cuddly” in front of the camera. It’s supposed to feel awkward and push your boundaries, but it makes the wedding day so much easier. Highly recommended for the camera shy guys out there. Your digital files do not usually receive any attention within Photoshop. Anything we print such as loose prints, canvas wraps and albums all receive extra attention in photoshop as required..
Do you require a deposit and when are the payments due? A deposit of $500 is required upon booking. This secures the day for you and no one else could book that day. You don’t have to choose your photography package until the week before your wedding. This is when the balance of that package is due. Are you available to shoot my wedding? Almost certainly. I usually have wedding bookings up to two, sometimes three years ahead. You should inquire soon and I can hold a date until we meet.